Produced by 311 and Wayne Price (Heartworn Highways Revisited), edited by Brandon "B Love" Hardin and mixed in 5.1 surround by Emmy-winner Tom Paul (Paul Simon's Under African Skies), the film is a testament to 311's devotion to their fans and largely shot, edited and inspired by dedicated fans of the band. The movie features high quality concert footage of hits and fan favorites, including "Down," "Beautiful Disaster" and "Come Original." The material was filmed at past 311 DAY concerts, 311 Caribbean Cruises and the 311 Pow Wow Festival. During the 90-plus minute film, fans also discuss their love for and longstanding commitment to the band including guest footage they shot at various 311 events. In addition to revealing the intimate and personal interaction between 311 and their fanbase, ETSD3 includes revealing and emotional interviews with band members, Nick Hexum (vocals, guitar), Doug "SA" Martinez (vocals, turntables), Tim Mahoney (guitar), P-Nut (bass) and Chad Sexton (drums). The camera work, editing and interview content complement 311's off-beat yet irresistible songcraft, creating a striking and iconoclastic documentary that will instantly appeal to fans as well as anyone interested in dramatic and triumphant human-interest stories. While ETSD3 stands alone as an original documentary, it also serves as a companion piece to the 311's earlier movies, 1996's ETSD1 and 2001's ETSD2. ETSD3 is the first to be shown in cinemas. 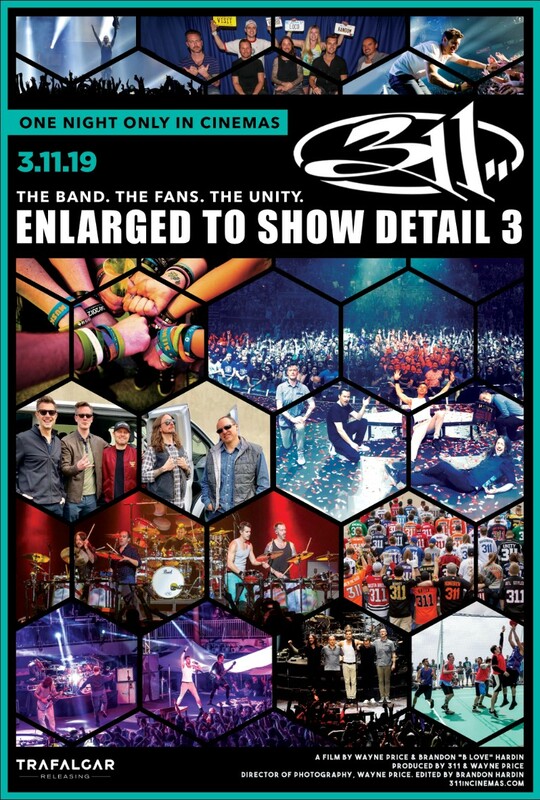 Prior to ETSD3's release, 311 will hit the road on a select run of tour dates including a two-night run at the House of Blues in Orlando and embark on their sixth 311 cruise from Tampa to the Caribbean. 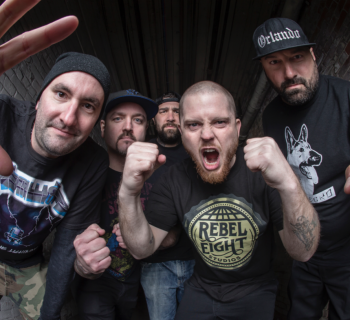 They will also make several appearances in Colorado including headlining the famed Red Rocks Amphitheater in April. All current dates follow below. 311 formed in Omaha, Nebraska, playing their first show in June 1990 and have amalgamated a wide variety of styles into their music, including rock, rap, reggae and funk. So far, the band has released 12 studio albums, selling over nine million albums in the U.S. alone. 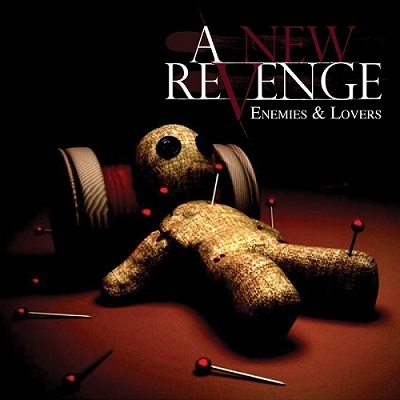 Their last 10 consecutive albums reached the Top 10 on the Billboard Top 200 Album Charts and they've had nine Top 10 radio hits, including three #1's. 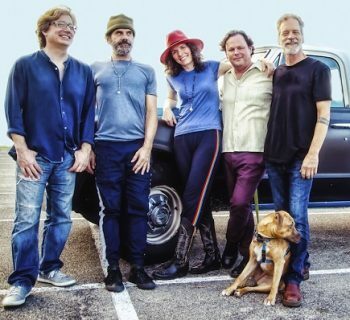 Their list of hits includes "Down," "All Mixed Up," "Amber," "Love Song," "Come Original," "Beautiful Disaster," "Don't Tread on Me," "Hey You" and "Sunset in July." 311's celebratory live shows & incessant touring schedule have earned them a massive grassroots following nationwide. The band's 12th and latest album Mosaic came out June 2017, debuting #6 on Billboard's Top 200 Album Chart. 311 are planning to release their 13th album (title tba) in spring/summer 2019. 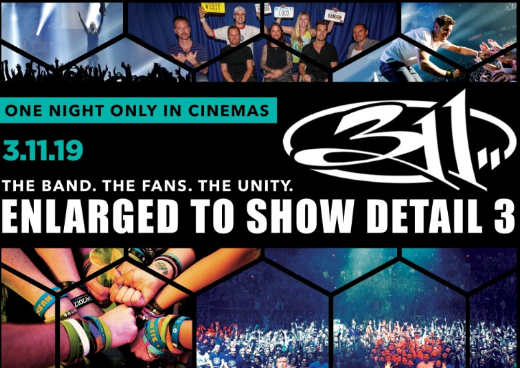 First, both band and fans look forward to celebrating ENLARGED TO SHOW DETAIL 3 on 311 DAY in cinemas nationwide. 3 hits theaters nationwide for one night only on March 11. 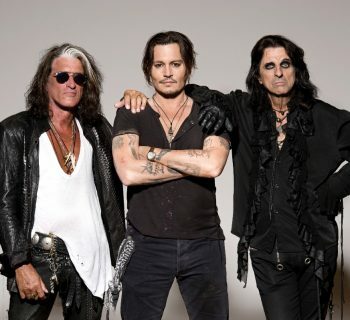 THE HOLLYWOOD VAMPIRES ARE BACK WITH RISE, ONE OF THE MOST ANTICIPATED ROCK ALBUMS OF THE YEAR!